From Left To Right: Salomon DuBois Thiombiano, Ben Brewster, and Marcus Richardson attend the BOND OFFICIAL x InStitchu Brunch at Harold’s on Saturday, March 23rd, 2019. Photography by, Inexora Media. BOND OFFICIAL x InStitchu Brunch at Harold’s on Saturday, March 23rd, 2019. Photography by, Inexora Media. Igee Okafor attends the BOND OFFICIAL x InStitchu Brunch at Harold’s on Saturday, March 23rd, 2019. Photography by, Inexora Media. Timothy Jeffreys, Diego Leon, and Adam Gonon attend the BOND OFFICIAL x InStitchu Brunch at Harold’s on Saturday, March 23rd, 2019. Photography by, Inexora Media. Timothy Jeffreys and Igee Okafor attend the BOND OFFICIAL x InStitchu Brunch at Harold’s on Saturday, March 23rd, 2019. Photography by, Inexora Media. Adam Gonon attends the BOND OFFICIAL x InStitchu Brunch at Harold’s on Saturday, March 23rd, 2019. Photography by, Inexora Media. Brandon Murphy attends the BOND OFFICIAL x InStitchu Brunch at Harold’s on Saturday, March 23rd, 2019. Photography by, Inexora Media. Ben Brewster attends the BOND OFFICIAL x InStitchu Brunch at Harold’s on Saturday, March 23rd, 2019. Photography by, Inexora Media. Salomon DuBois Thiombiano attends the BOND OFFICIAL x InStitchu Brunch at Harold’s on Saturday, March 23rd, 2019. Photography by, Inexora Media. Garrett Swann attends the BOND OFFICIAL x InStitchu Brunch at Harold’s on Saturday, March 23rd, 2019. Photography by, Inexora Media. Ben Brewster, and Brandon Murphy attend the BOND OFFICIAL x InStitchu Brunch at Harold’s on Saturday, March 23rd, 2019. Photography by, Inexora Media. Marcus Richardson attends the BOND OFFICIAL x InStitchu Brunch at Harold’s on Saturday, March 23rd, 2019. Photography by, Inexora Media. From Left To Right: Larry Milstein and Igee Okafor attend the BOND OFFICIAL x InStitchu Brunch at Harold’s on Saturday, March 23rd, 2019. Photography by, Inexora Media. From Left To Right: Salomon DuBois Thiombiano, Marcus Richardson, Delanique Millwood, and Igee Okafor attend the BOND OFFICIAL x InStitchu Brunch at Harold’s on Saturday, March 23rd, 2019. Photography by, Inexora Media. Taylor Harden attends the BOND OFFICIAL x InStitchu Brunch at Harold’s on Saturday, March 23rd, 2019. Photography by, Inexora Media. Larry Milstein attends the BOND OFFICIAL x InStitchu Brunch at Harold’s on Saturday, March 23rd, 2019. Photography by, Inexora Media. Diego Leon attends the BOND OFFICIAL x InStitchu Brunch at Harold’s on Saturday, March 23rd, 2019. Photography by, Inexora Media. 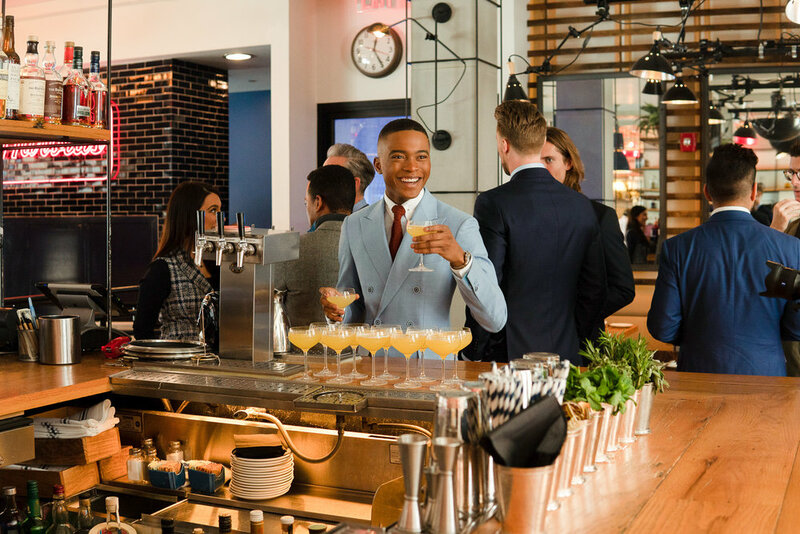 In honor of celebrating the soft launch of BOND OFFICIAL in collaboration with Made To Measure suiting brand, InStitchu, we hosted an intimate suited brunch encompassed with a few of New York’s finest, and well dressed men at Harold’s. Guests were greeted with mimosas upon arrival, and seated at a tulip adorned table featuring an assortment of palatable appetizers. The all male taste-maker guest list ranged from designers to content creators, and philanthropists such as: Salomon DuBois Thiombiano, Larry Milstein, and Brandon Murphy. With the aim of sharing our brands’ vision, host and Editor-in-Chief of BOND OFFICIAL, Igee Okafor gave a welcoming speech that lent itself to a series of conversations that wandered throughout the seated affair over savory entrees, prosecco, rosé, and Bordeaux red wine— covering topics from individual aspirations in design, and film, to modern day activism and popular culture. 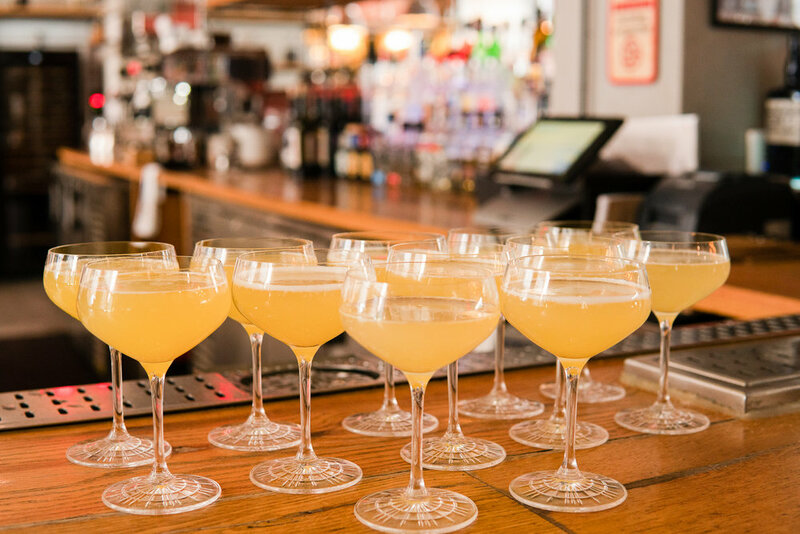 The all embracing setting underlined a group of men who are interested, humorous, compassionate and engaged— certainly representative of the kind of community we foresee in the men’s space at BOND OFFICIAL. Click through the slideshow above for a look inside the suited brunch.